On Saturday we went to see BackRoad Vines at their event “Art on the Vine”. The day was really going to be a scorcher, so we headed out there early before the heat got too bad. We had never been to this winery. It is new to the area. I had heard of them as we have passed their signage on a regular basis and they are now selling their wines at The Napa Deli, which readers will know is one of my favorite places for lunch. 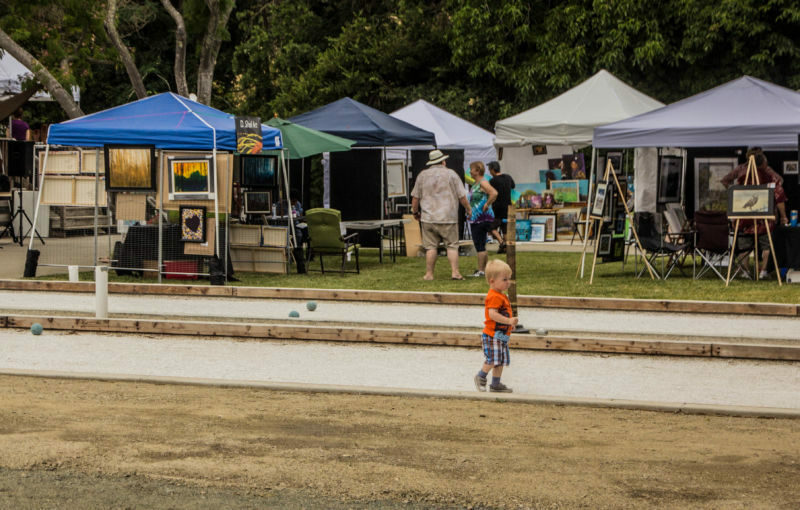 BackRoad Vines hosting “Art on the Vine” seemed the perfect excuse to check them out. There was a pretty good turn out at the event, despite it being both hot and early. There were some really nice vendors there too. There was a lady who made hand-blown glass sculptures that I liked a lot. Another vendor made jewelry out of fossils and rocks; I loved the keychains. There were several artists who had colorful canvasses and a couple of photographers who showed off their beautiful pictures. There were probably about fifteen different artists showing off their wares for sale. Inside the tasting room there was a lady who sold baked goods that she made in her home cottage bakery business. She sold a collection of regular and gluten-free products. After perusing the art and treats, The Brit and I decided that it was time to have a taste of their wines. 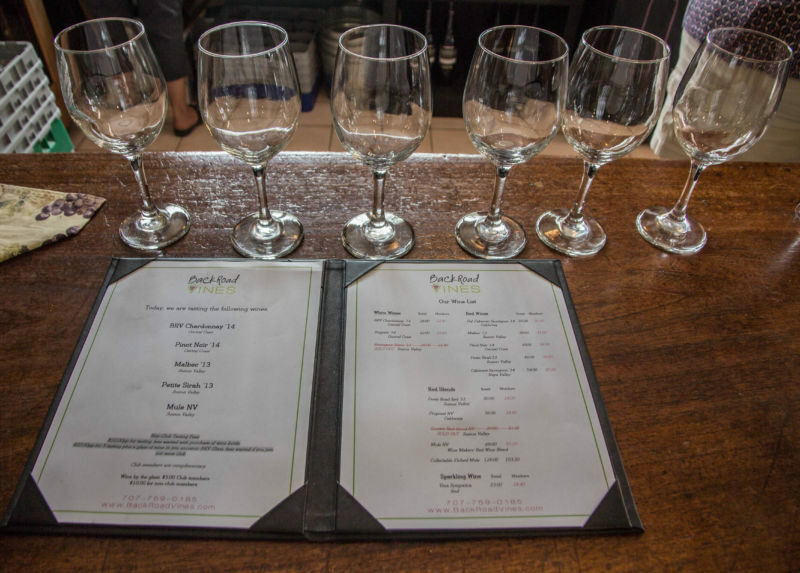 The tasting room is basic. I think it’s a work in progress. However, the our hostess Karensa was very friendly and eager to help us experience the wines on offer. The tasting is $10 per person. The Brit Comments: The $10 fee is refunded with a purchase of one bottle. They also sell their wine at $10 a glass. This is a young winery. 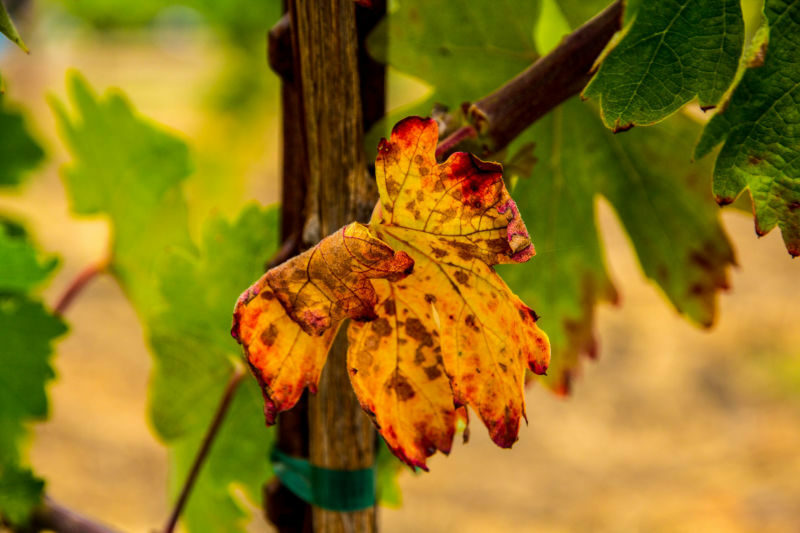 It hasn’t had a chance to develop its wines or its style. They are building and laying groundwork for the future. When you look out on the vines you can see that they are only a couple of years old with new fruit. 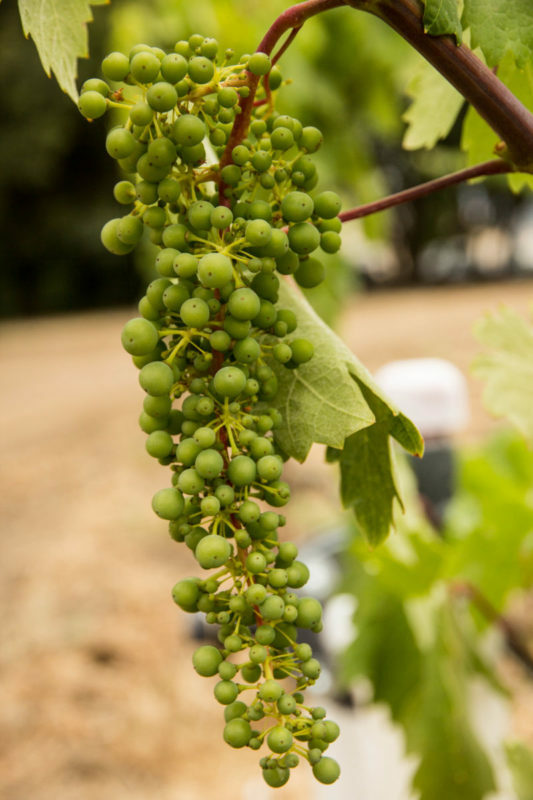 Those vines aren’t yet able to produce fruit that would be deemed good enough quality for wine. That will take another several more years. In the meantime, they are buying their grapes from other vineyards in the valley and elsewhere; blending it to find their style. I sipped all of their wines with interest. Again, I want to say that the winery is new and are finding their groove. Having said that however, I did enjoy a nice taste of their Non Vintage Mule Blend. It shows potential in both the wine and the winemaker. Priced at $69 a bottle, I thought this was a bit high for the quality of the wine I was consuming. It will be interesting to follow the journey of these wines from the beginning. The Brit Comments: The wine sourced from grapes entirely outside of Suisun Valley was the least interesting, whilst the Mule Blend was thoroughly enjoyable. Their Cab, a mix of grapes from Napa, Sonoma, Central Coast, and Suisun Valley was my favorite and reasonably priced for a Cabernet. In the same valley is the Vezer Family Vineyards. I was there when they started too. I have watched their wines grow from being drinkable to some of their wines turning into something great in the span of about eight years. The flavors and style has grown up considerably. I think this is what will happen with BackRoad too. After our tasting we were ready to explore the property. We were told that there is a beautiful creek and that there are often picnic tables set up in the area for people to enjoy. 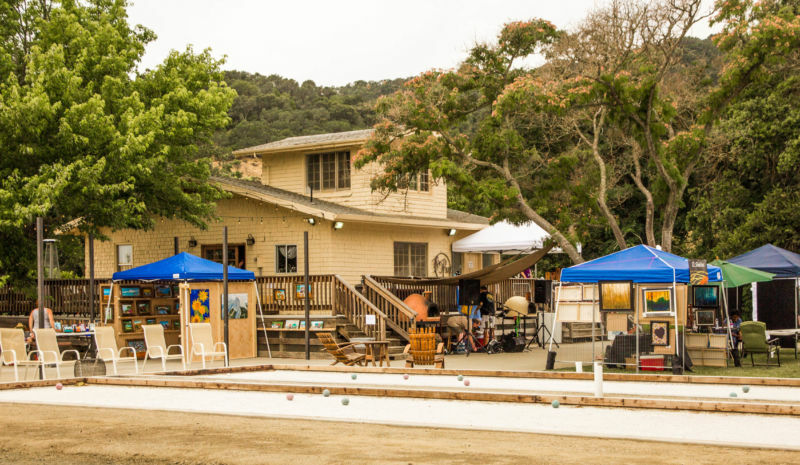 There are also a couple of bocce ball areas to play. They are setting up a league of interested people who want to enjoy playing against other teams in the area. 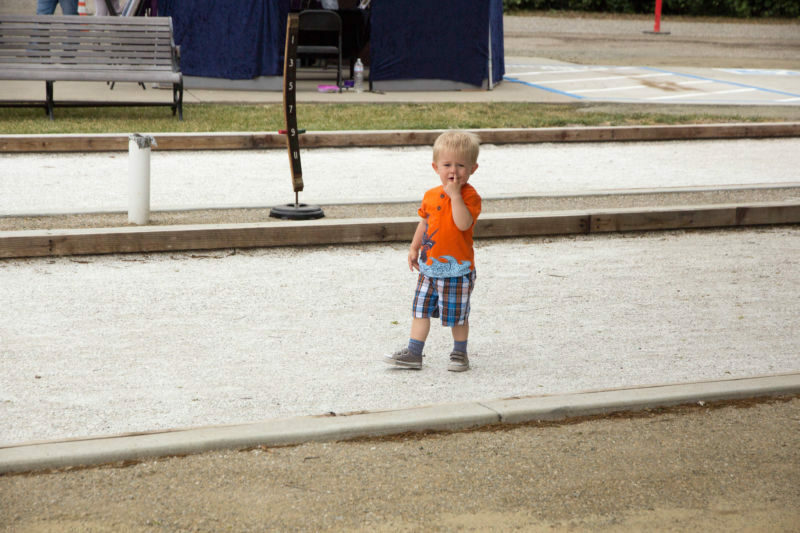 Wine and bocce ball sounds like a great time. Around this time the Beer Brothers band started to play. The live music gave the event a festive spirit. They aren’t my favorite band that I have heard at wineries, but they seemed to be enjoying themselves. The Brit Comments: I think that California Girl has picked up on my British reluctance to be openly critical. At the end of the property sat a food truck. By now it was time for lunch and we were hungry. 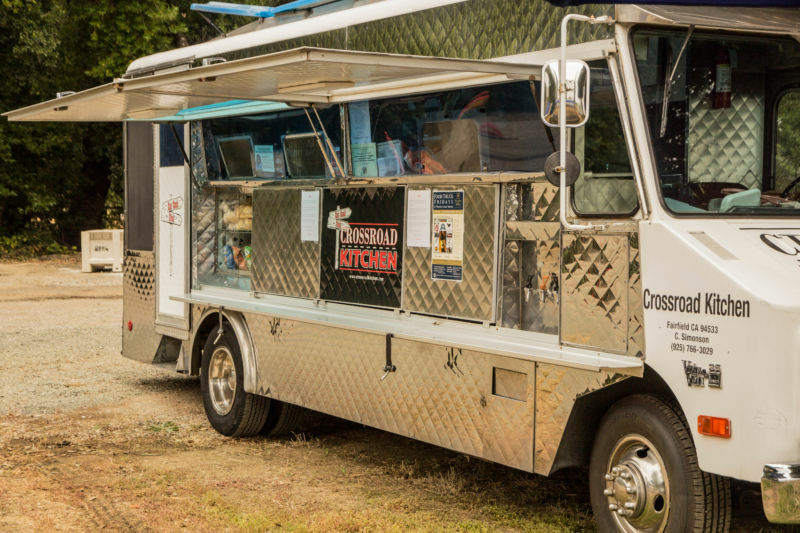 The food truck was supplied by The Crossroad Kitchen. They served a very simple menu, but what they served was tasty and filling. I got a few minutes to talk with Colin and his helper as they cooked my burger (with grilled onions as suggested) and The Brit’s pork loin sandwich. Both were absolutely wonderful. 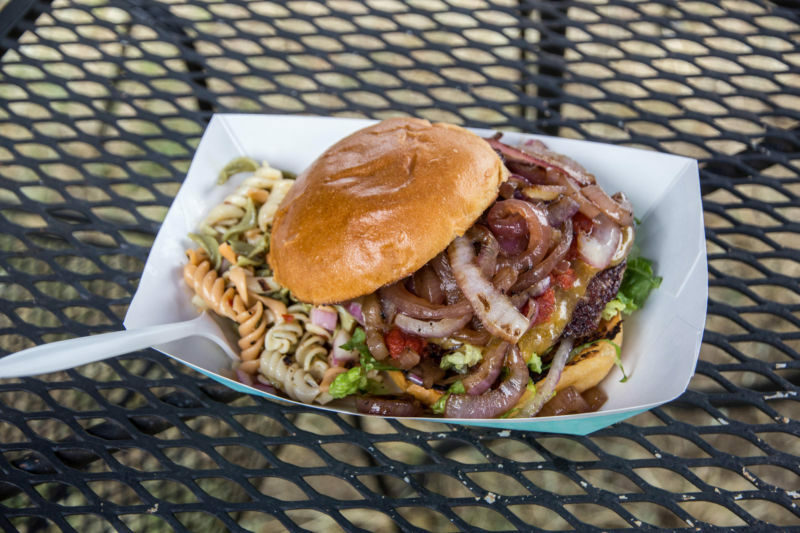 Lots of flavor and texture; not your typical food truck fare. It was also nice to know that what we were eating was sourced both ethically and locally; given our personal preference towards quality over cheap. I thought the burger was very reasonable at $10 which included a side of Italian pasta salad. My burger was cooked correctly and had great flavor. 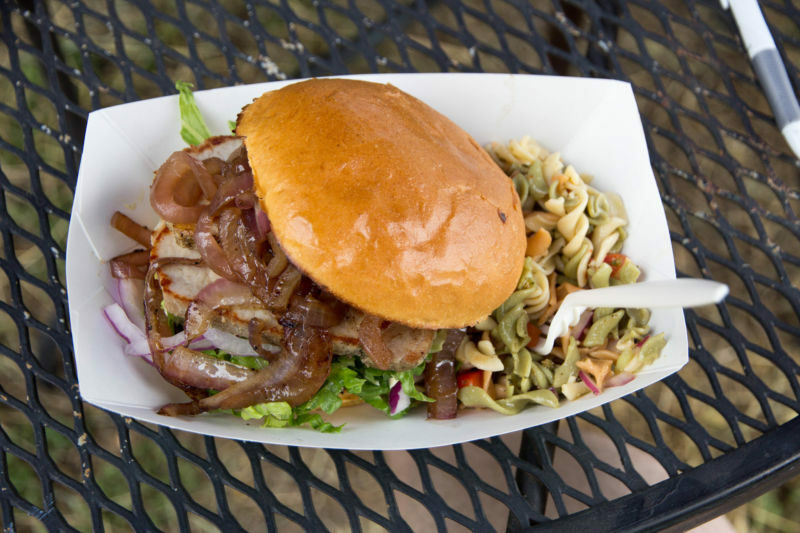 I also loved the flavor of The Brit’s pork loin sandwich. A nice Dijon mustard really made that one shine for me. The Brit Comments: I loved the flavour of my sandwich, with the onions an special highlight, but was less happy with the cook on the pork, which seemed a shade overdone. All in all, we had a great day at this new winery. I am sure we will return there to make sure we keep good tabs on the wine and taste as it matures. We do it all in the name of being good bloggers of course; for the benefit for all of you. It is a tough job, but someone has to pony up and do it right?